Earn up to 1,408 reward points. Get control of your floor rig with this sturdy, lightweight expression pedal. The Mission Engineering SP-25M-PRO expression pedal has dual 25K outputs with polarity selection and a momentary toe switch, compatible with many devices for guitar, keyboards, acoustic instruments both live and in the studio. And the all-aluminum construction is half the weight of a standard Mission pedal. 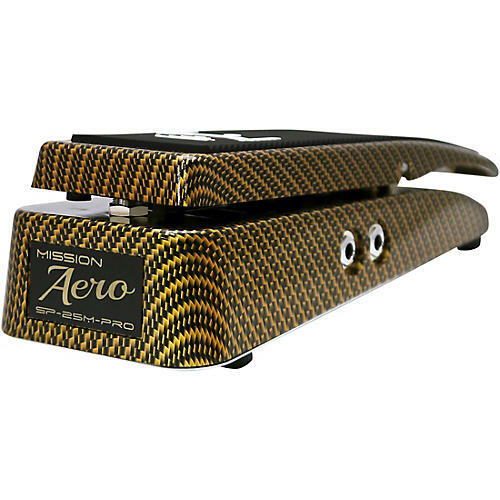 The extended sweep of the Aero design makes this a great all-round expression pedal for volume as well as effects parameter controls. The rear cut away and extended length curved surface are ergonomically designed for comfortable use in either standing or sitting positions. Dimensions: 11 x 4 x 3 in.